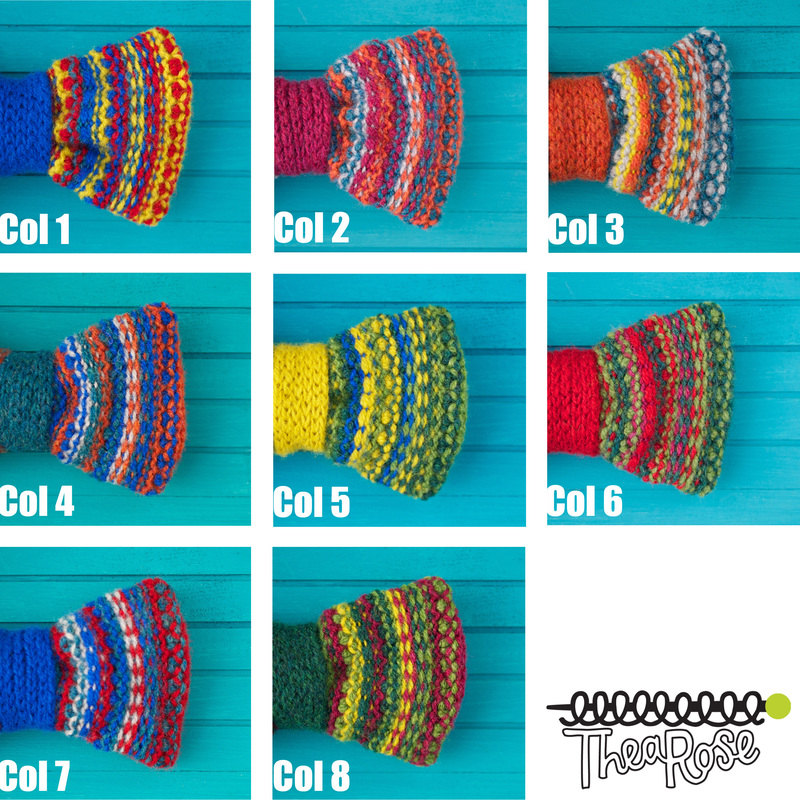 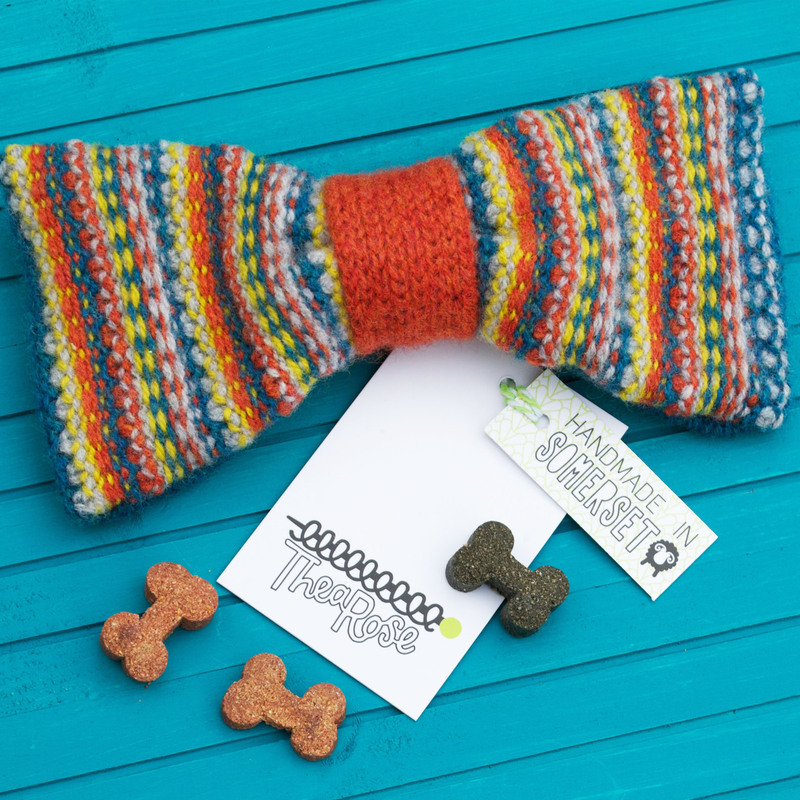 Treat your furry friend to a fun Knitted Bow Tie. 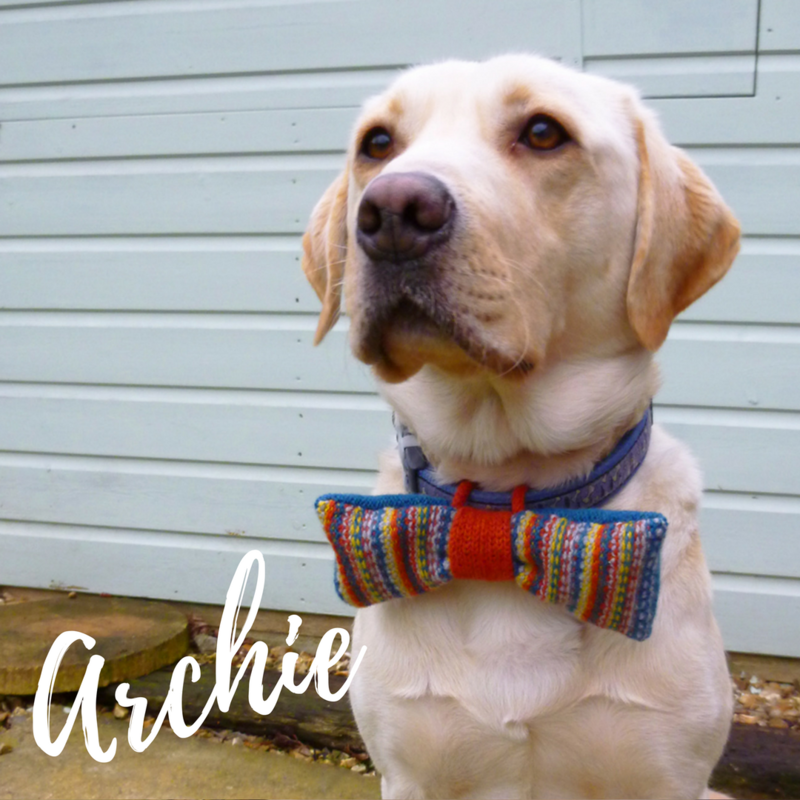 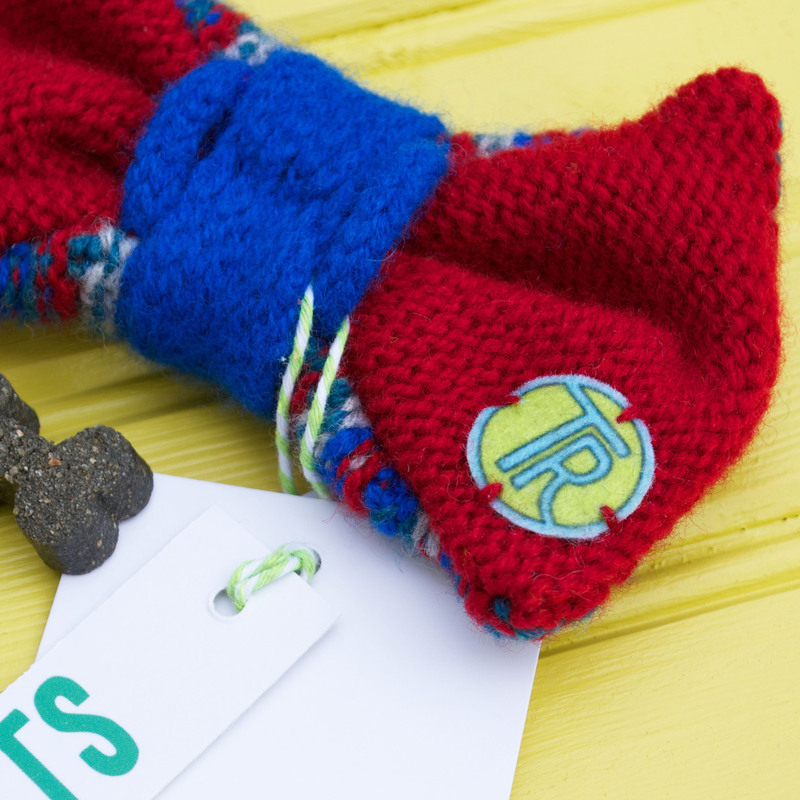 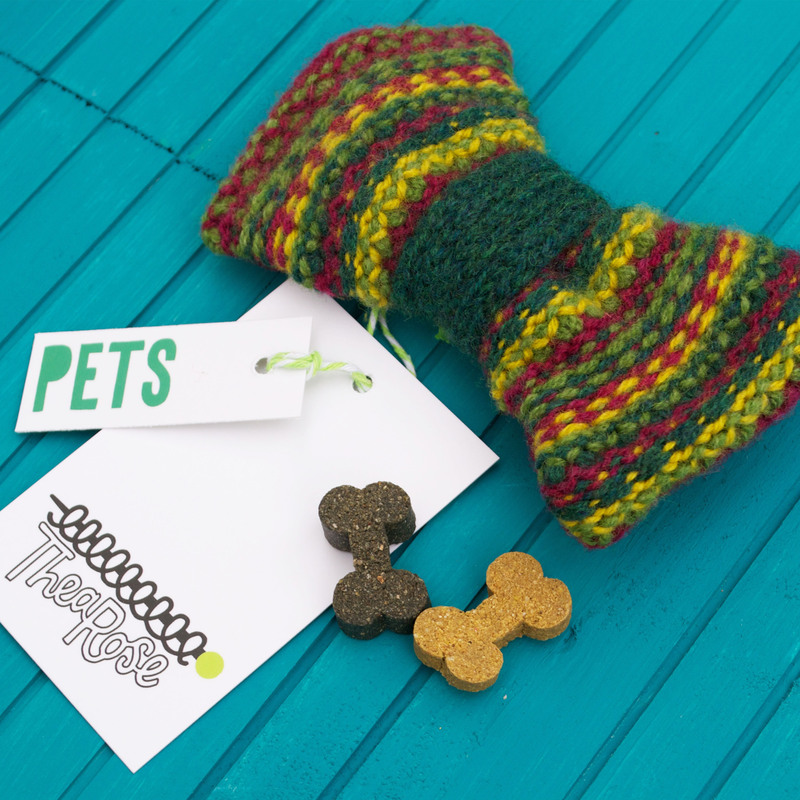 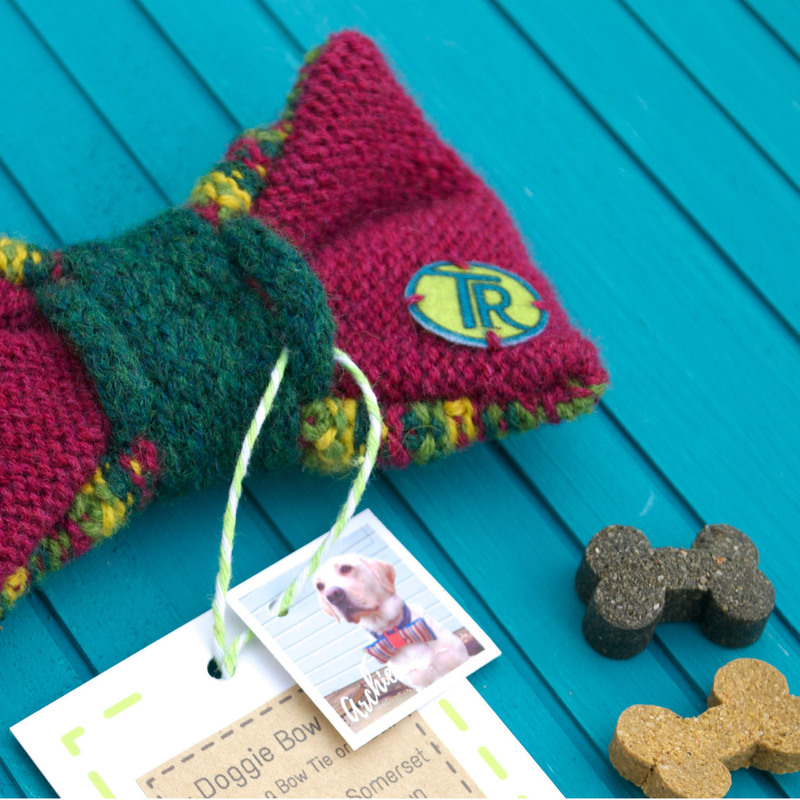 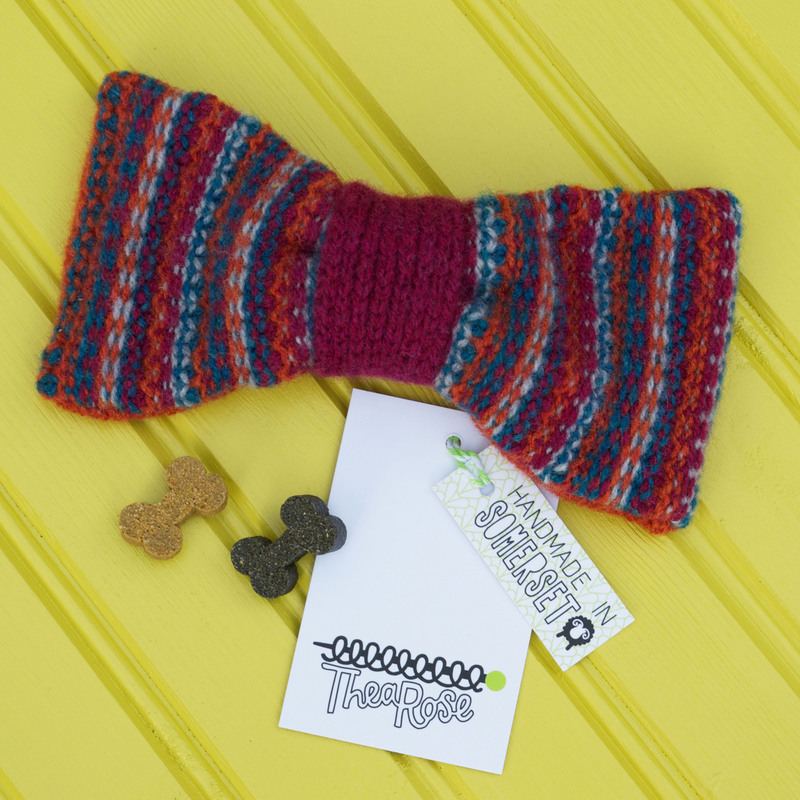 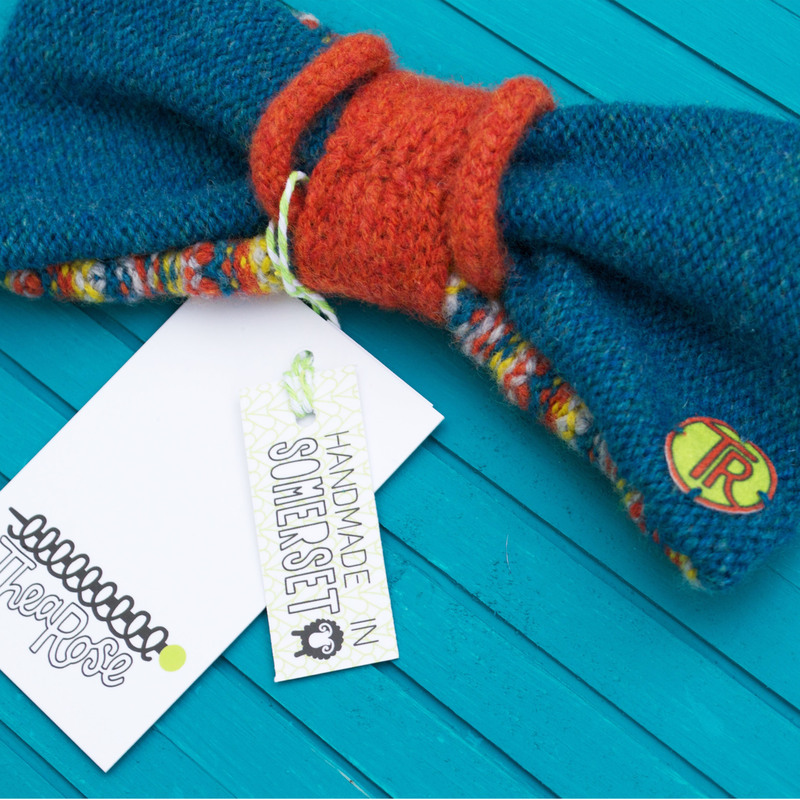 The bow has two knitted loops on the back so can be easily slotted onto your dogs collar. 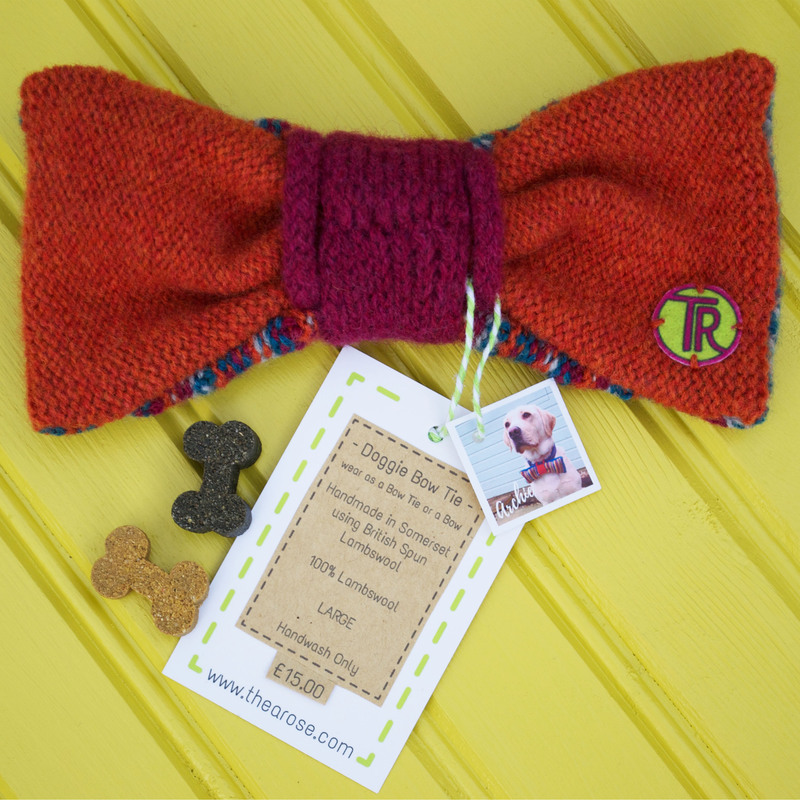 Your dog can wear if either at the front as a bow tie or at the back as a pretty bow. 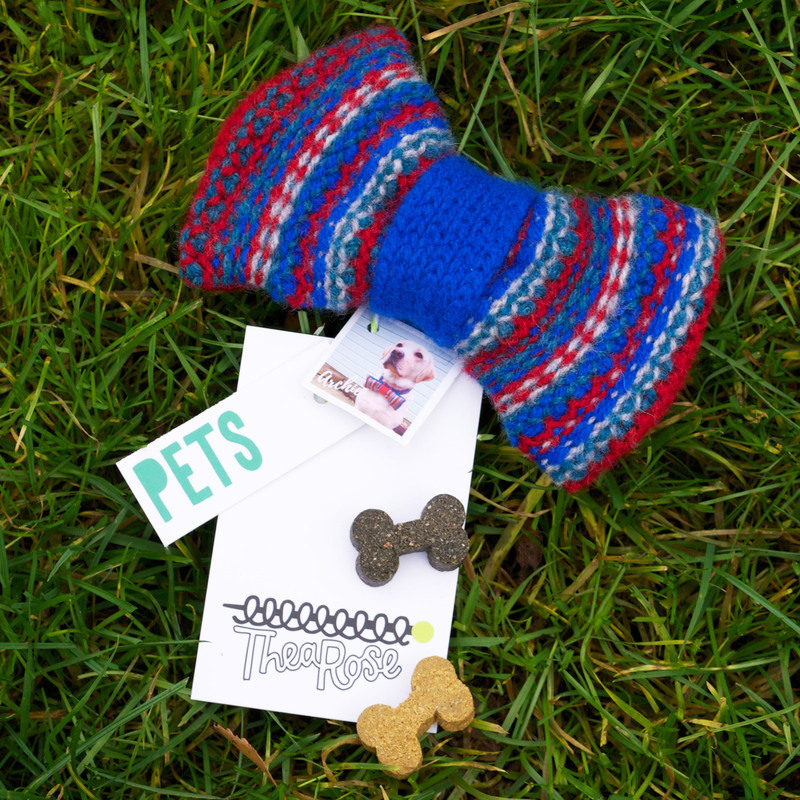 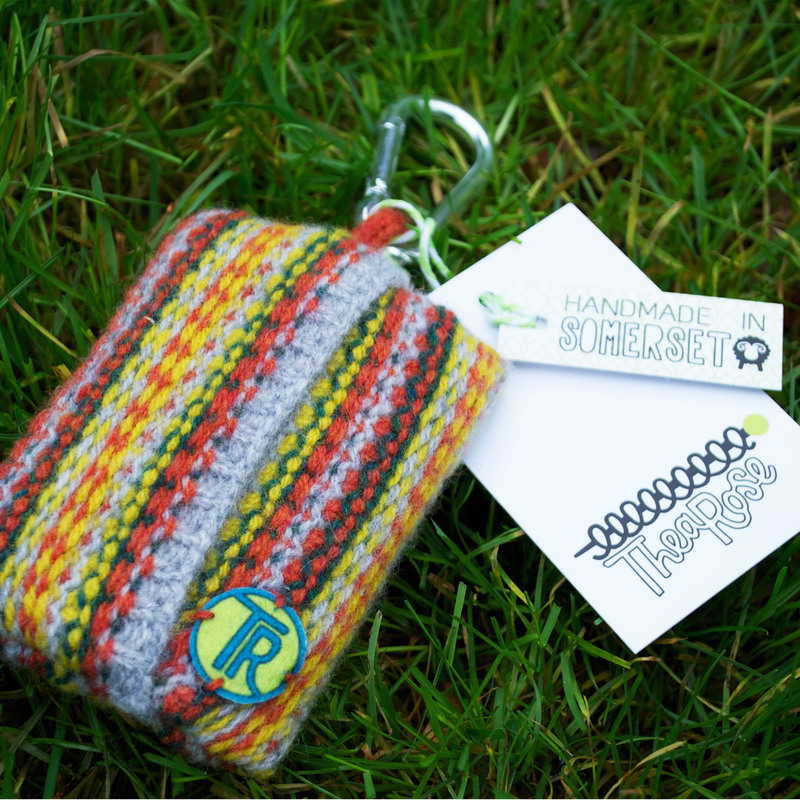 Comes in two sizes depending on your dog’s size and a variety of colours depending on your dogs personality and style!